Incorporating feedback from last year’s inaugural Club Championship, we have made three changes that we hope will encourage more participation for this year. By making the scoring rings on the target more generous and placing the target closer to the firing line we hope that more members will be encouraged to compete. 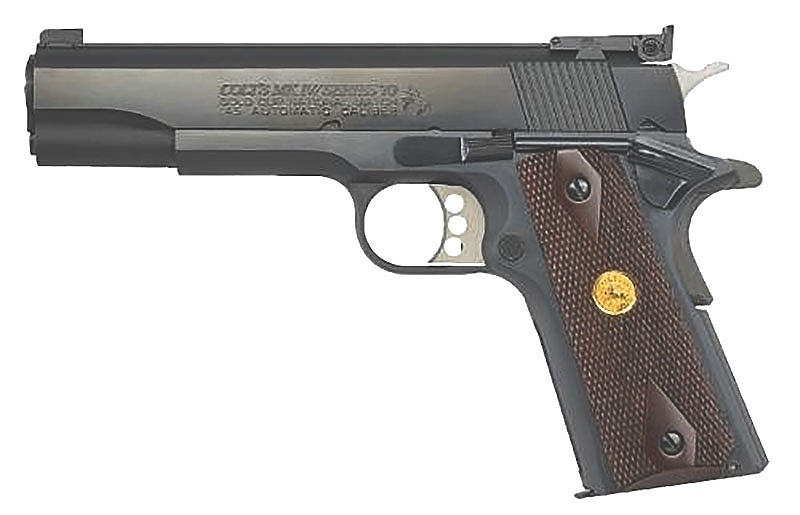 Also, the 2019 Club Champion will receive a Colt Gold Cup 1911! The Club Championship will run from Friday March 22 through 5:00 PM on Monday April 22. You may shoot and submit your official targets any time during that period. The entry fee will be $30. Sign out an official set of targets in the lounge and shoot them at any time. Place each of your targets at the 10 yard line – marked in yellow tape in the range. Shoot 5 shots on each of your 5 official targets. Score your targets and submit only your best target as your entry. Fill out and submit your entry target with name, date, time, caliber, lane number and your score. WSC will check scores on targets and verify distance using range cameras. Each member may enter only once (spouses and juniors also eligible, but only one entry per person). Each competitor must shoot their own targets. One or two-handed shooting allowed. You may not support the gun or yourself using a rest, the bench, shooting stall, etc. Practice targets are allowed and will be available in the lounge. Submit your target before the 5:00 pm deadline on Monday April 22. Include all required information on the target for scoring and verification purposes. The competitor with the highest score is the 2019 WSC Club Champion! Scoring is according to NRA bullseye pistol rules. In the event of a tie, a shoot-off event will be held to determine the winner. The shoot-off will be a plate shooting format. 10 round max mag capacity. Timers will be used with a random delay between “shooter ready” and the buzzer. Competitors start from the “low ready” position. Each competitor gets three timed runs to knock down all the plates. Only their best time counts. Reasonable effort will be made to schedule the shoot-off so that all involved competitors will be able to attend. If absolutely necessary, multiple shoots may be scheduled at the club’s discretion.